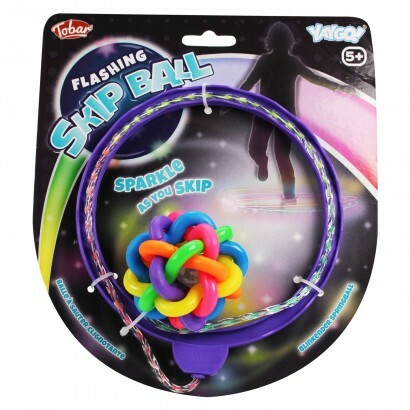 Put your co-ordination to the test with a fun skipping game complete with flashing lights! How long can you keep the flashing skip ball in motion? 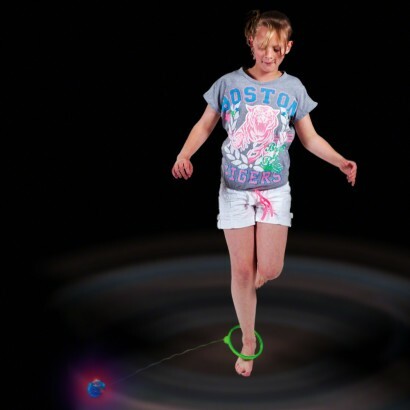 Loop the hoop onto your ankle, then swing and jump until your heart's content activating the flashing lights inside the motion sensitive ball for extra sparkle!